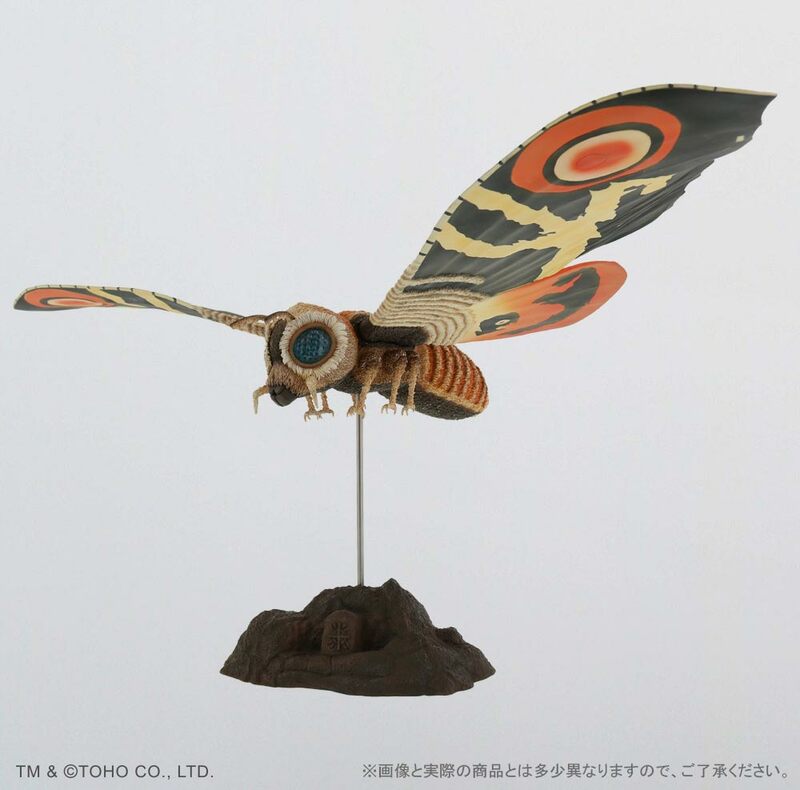 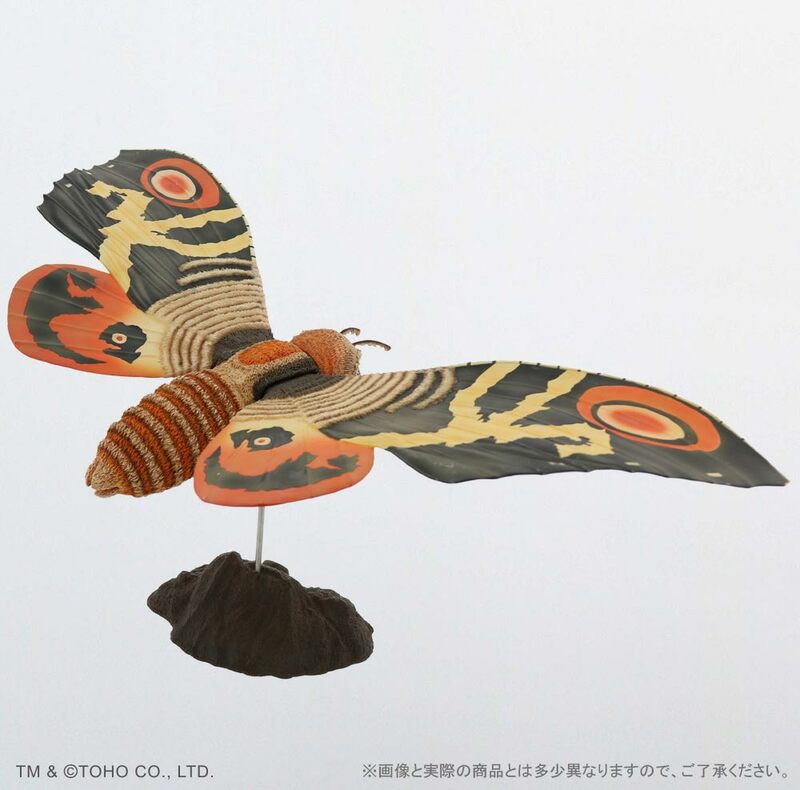 This is a reissue of the Large Monster Series Mothra Imago 1964 which was released in 2012. 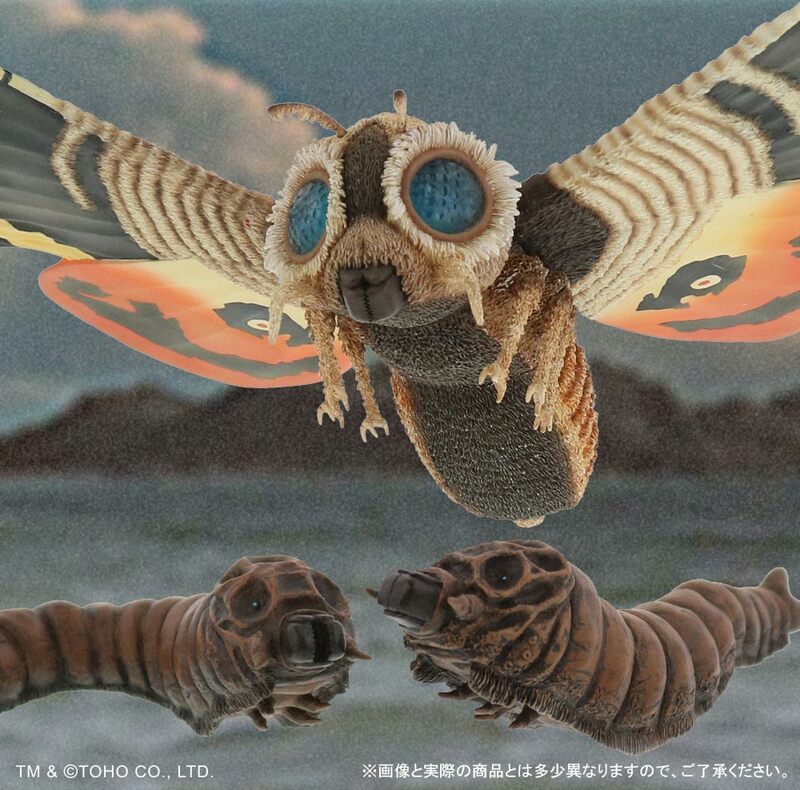 The base had been switched and the Mothra larvae included to set it apart from the original release. 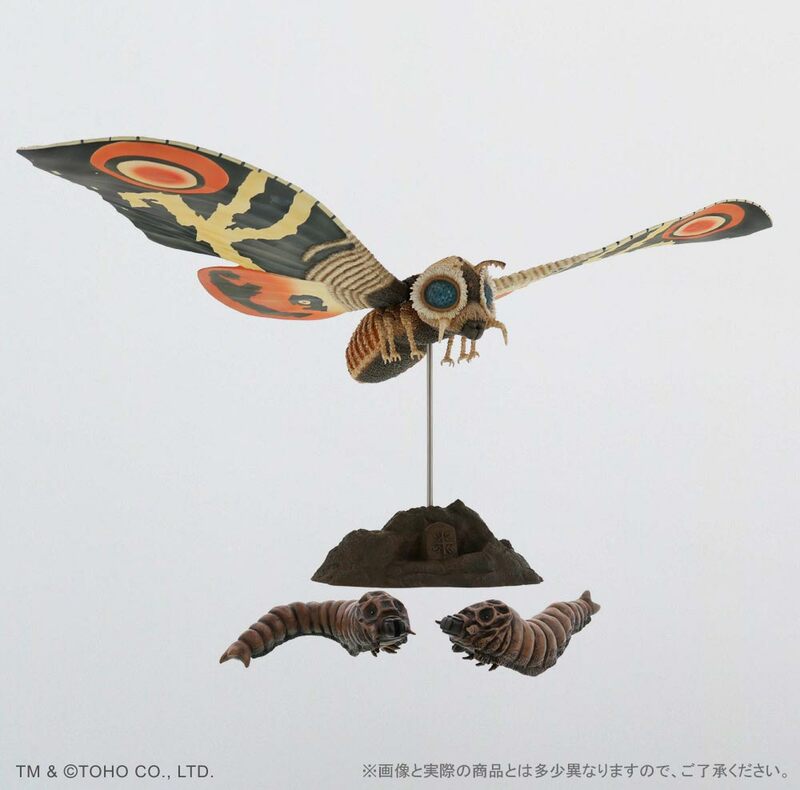 Mothra came with an iron pole and a reissue of the Mothra 1961 base. 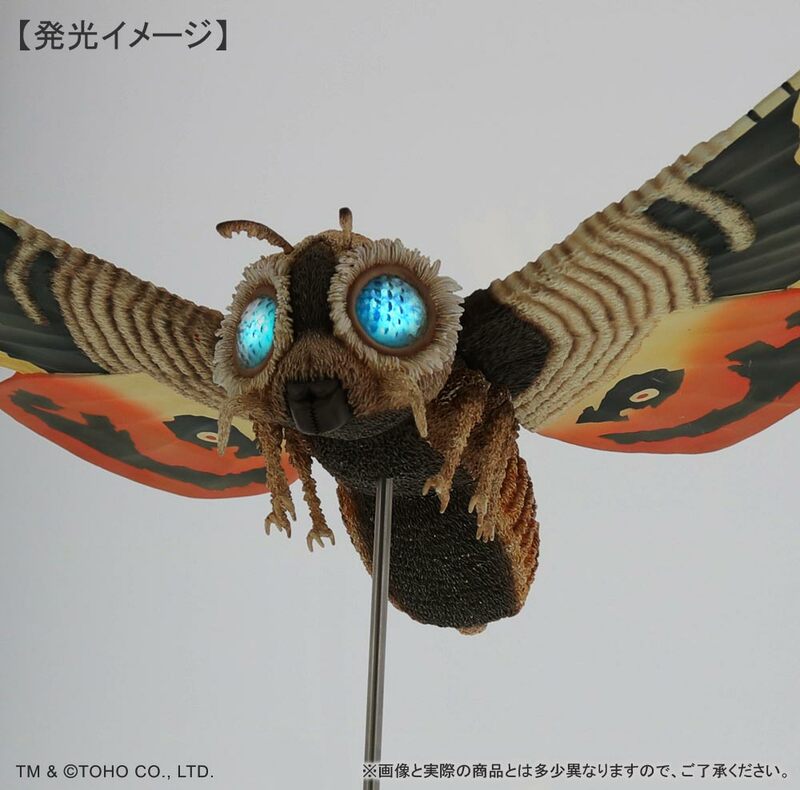 It also came with Light-up eyes and two mini Mothra larvae. 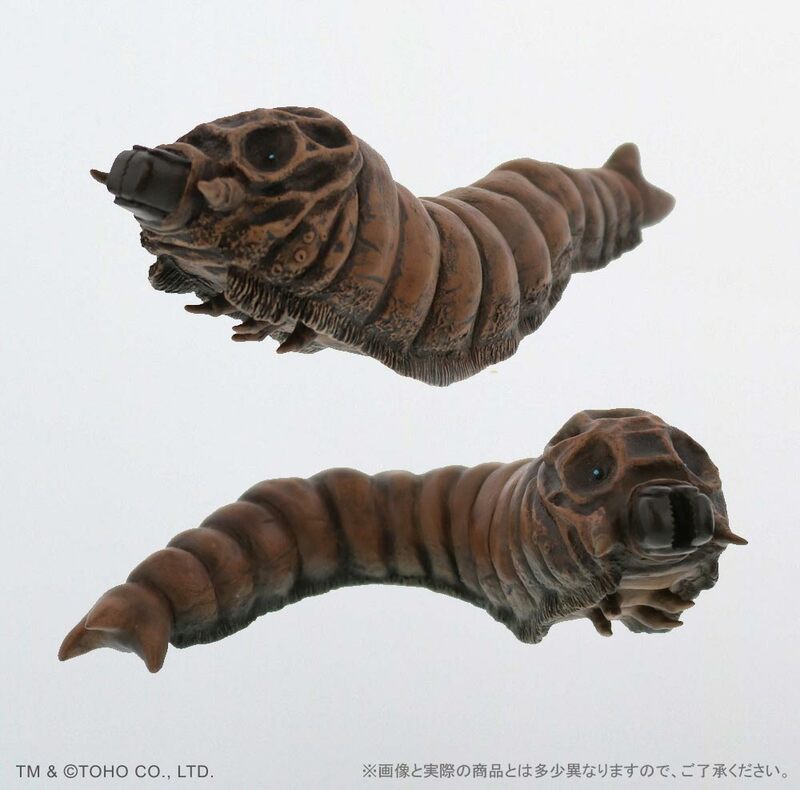 Link to original page on X-Plus site.